Happy October! It's time to celebrate all things spooky! 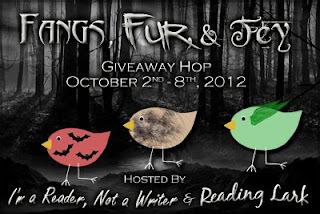 Thanks to I Am A Reader, Not a Writer and Reading Lark for hosting the Fangs, Fur, &Fey Giveaway Hop! For this giveaway, I've got two great prize packs set up! This prize is available to all US entrants. You will win (1) Vampire Diaries-themed charm bracelet in honor of my favorite TV show, which returns in October and features some of the hottest vamps around. In addition to the bracelet, you will pick up a signed paperback copy of my vampire book, BLOODY LITTLE SECRETS. This prize is open to US and International entrants. 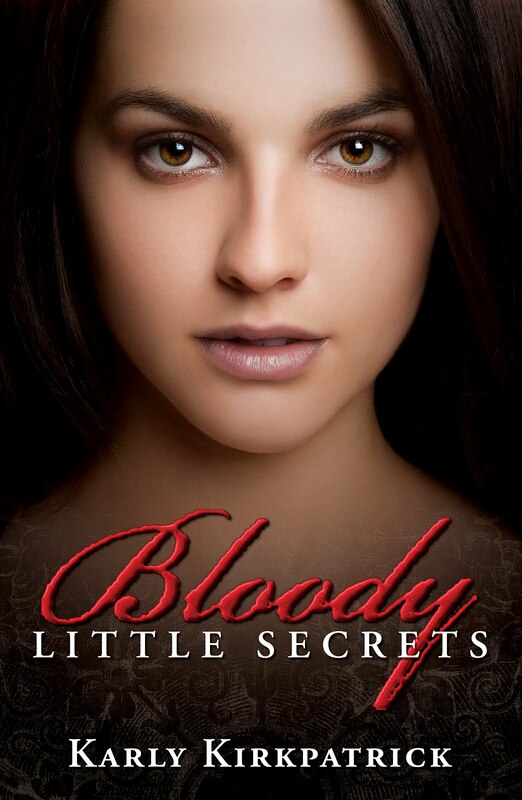 For this prize, you will win ebook copies of BLOODY LITTLE SECRETS and the complete INTO THE SHADOWS trilogy. 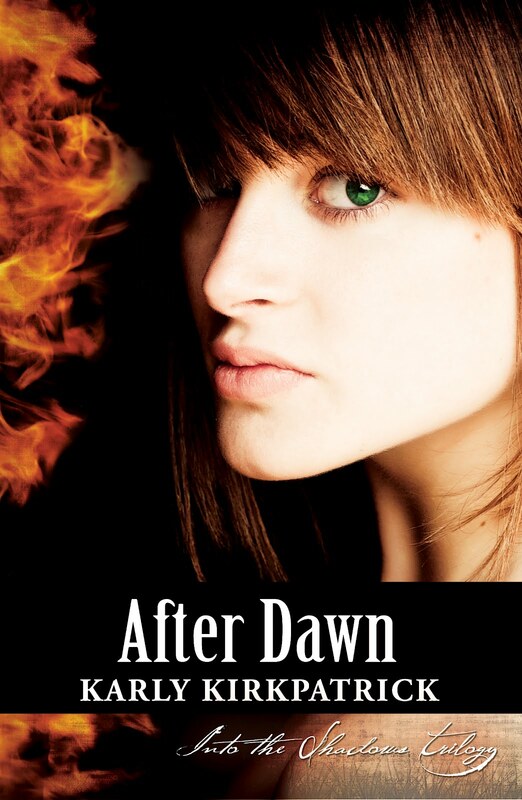 Book #3 (After Dawn) will be sent as soon as it's complete (approx. November 1). Ready to enter? All you need to do is leave your name and email address in the comments so I can contact you! You have from today through October 8th! If you would like to, you're welcome to follow the blog or follow me on Facebook, but it is not required to enter. This is such an awesome giveaway! Love The Vampire Dairies so excited for season 4! Thanks for the chance to win such cool prizes, Karly! Thanks for the chance. GFC as nat cleary and follow on FB as Natalie Cleary. I love this giveaway. Thanks so much! What a great giveaway thank you! Love the bracelet. Thanks for the giveaway! Thanks for putting on such an amazing giveaway! Thanks for the awesome giveaway!! 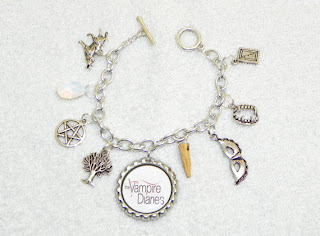 The Vampire Diaries is also my favorite TV show :) I can't wait for the season to start next week!!! Thanks for the giveaway. Would love to read your books. I LOVE that bracelet so cute!!! Thanks for these two AMAZING prize packs! I am also a Huge fan of TVD show, and I can't wait for TVD to start. Just only six more days :D!!!! Thanks for the great giveaway! That bracelet is so pretty!!! Your book looks like a good read! I would love to win prize 1. I'm eligible for Prize #2 only, thanks! Thanks for inviting us. I was just checking mail and found it. You know you can always count me in!! I would love to be entered to win either prize! Love this giveaway!!!! Thank you so much! Thanks so much for this awesome giveaway!!! Sounds like a great series. Thx for the hop. Mid-Winter's Eve Giveaway Hop - Win an #Amazon Gift Card! 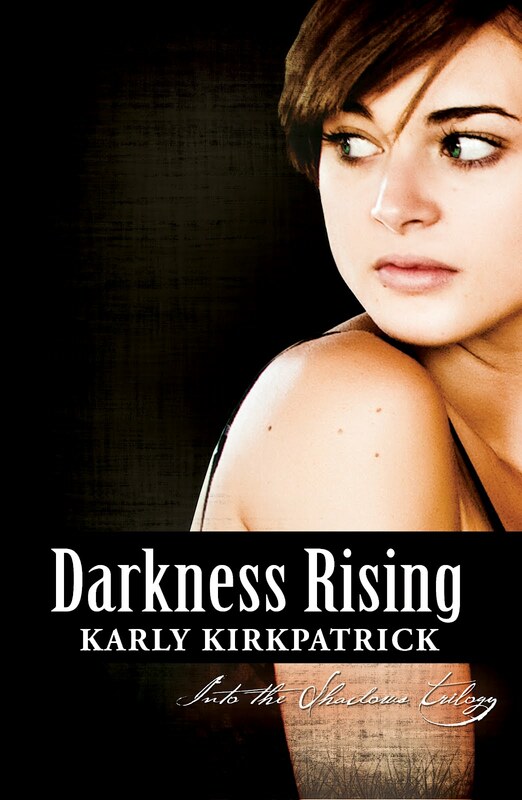 Karly Kirkpatrick has read 1 book toward her goal of 40 books.